There are plenty of bluetooth and gps enabled tracking devices out there, especially in the world of Kickstarter. The problem with most of them though, is that first they are positioned as a way to find your car keys. While that may be a great use for a tracking device that’s not what tracking devices are all about. 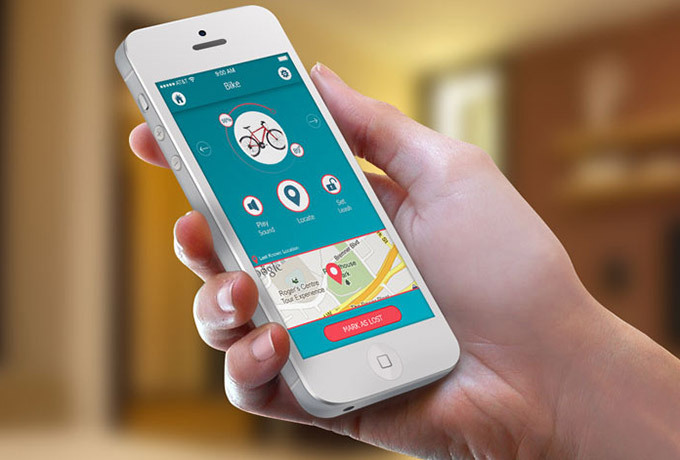 Tracking devices are about one thing, Peace Of Mind, and that’s what POM brings to it’s user. POM actually stands for peace of mind, but what kind of peace of mind does POM bring? 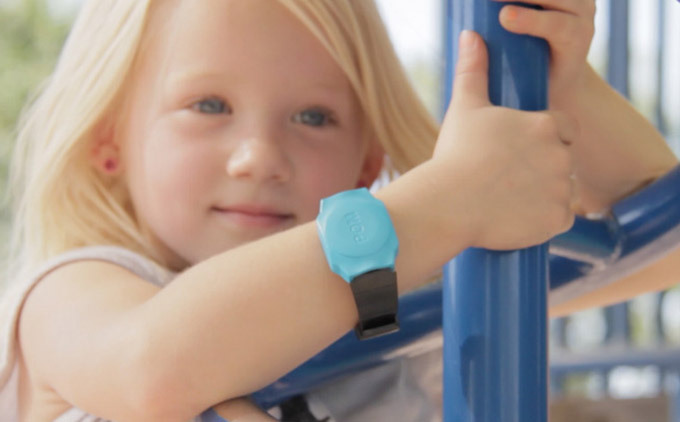 A POM device on a wristband can be your safety and security peace of mind for your child. Have your child wear the colorful POM bracelet all day long and you’ll know exactly where they are in your home, at the park, or in the mall. A POM device on a dog collar will give you the peace of mind knowing where your dog is at all times and if you do lose your dog, you’ll rest assured knowing that as you get closer to your dog, the POM app will let you know. A POM device can be used as a geo fence. But what does that mean? Well it means that you can go to a park, a mall, a soccer game, or a shopping center and set up an invisible barrier. When your child (or dog) passes through that barrier you’re instantly alerted. POM can even be used as an alert if a door, window or even a pool fence opens. “One of the biggest things people want in life is peace of mind. With so many things to worry about, we are constantly searching for things to make us breathe a little easier. That’s where POM & Total POM come in. Our Bluetooth/GPS tags help you keep track of and find the things that are most important to you. Whether you want to easily find your keys, wallet, tv remote, purse, laptop or tablet. Or, you want to keep track of your pets or kids. POM can help.” the company writes on their Kickstarter page. We combine Bluetooth, Cellular and GPS tracking systems to give you ultimate coverage. We have a POM Link which works like a 24/7 monitoring beacon for your home, office or anywhere you choose. No need to charge your device every 24 hours. The mother who turned us on to POM told us “I went through a horrible divorce. I don’t think my ex would ever do anything to my kids, but I’m going to use POM inside my kids backpacks that way I’ll know if they’re late for drop off, exactly where they are”. That’s just smart. There are a million ways to utilize a tracking chip, the combination of Bluetooth and GPS means that POM has you covered and POM will give you peace of mind. Sounds like a great gadget!! I’m always worried about losing my luggage as I travel a lot. I backed the kickstarter and can’t wait to get my total POM! !